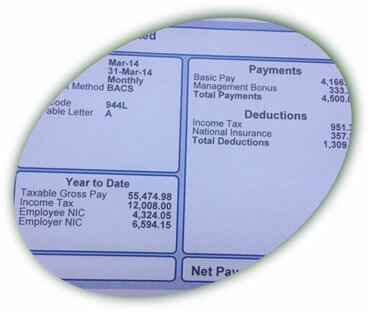 Of recent I’ve been asked by a couple of my company director clients why the national insurance deductions calculated on their salary differs from that of another member of staff who is receiving the same salary. Company directors’ national insurance (NI) is calculated differently from that of an ordinary employee. An ordinary employee’s NI is calculated on a non-cumulative basis. This means that whether they are paid weekly, fortnightly or monthly their NI is calculated according to their pay in that pay period only. Their earnings from any other pay run are of no relevance to the calculation. Director’s NI is calculated on a cumulative basis whereby the NI collected in previous pay periods is taken into account when calculating the current period’s NI liability. Directors have an annual earnings period and their NI liability is calculated so that by the end of the tax year the NI paid over is related to their earnings for the whole year. Director’s NI can also be calculated by the alternative method and there are various qualifying conditions that must be met before this can be used. Under this method the director’s NI liability is calculated on a "per pay run" basis using the relevant earnings thresholds. In the final pay period the NI due must be reassessed on the director’s annual earnings and include any adjustments to the NI due in the year. Overall both methods will result in the same amount of NI being deducted and the only difference will be in the timing of the liability. Why is directors’ NI calculated differently? Directors are in the unique position of being able to influence how and when they receive their pay. If their NI was calculated under the normal method they could choose to receive their annual salary in one week thereby paying a lot less NI than an ordinary employee who received the same salary spread evenly over the tax year. If you are the director of a limited company and want to be sure that your payroll and/or that of your staff is being run properly please contact Joy on 020 8554 2389 or mail@joyandco.co.uk.